I want to create a newspaper roll in Inkscape. My goal would be to only have the intersection of the yellow area and the the left circle. 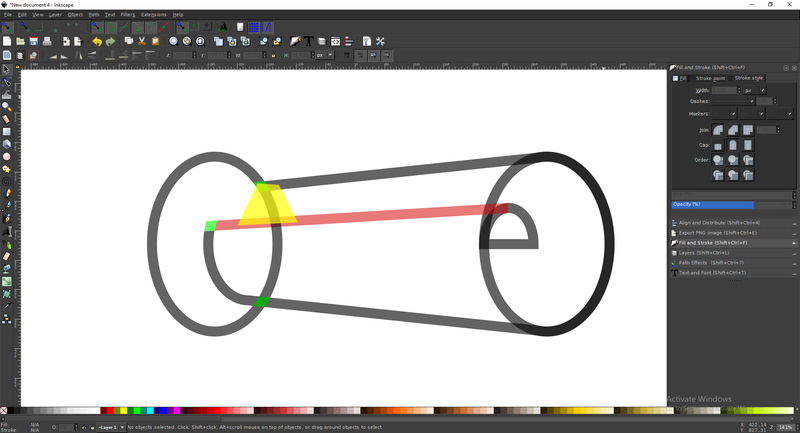 However, if I select those and then use path -> intersection, a remaining stroke around the original yellow object is still there. Maybe I could create it with decreasing the area of the yellow part, but this is something that came up before as well, and I want control over it. Intersection works between fills, it always creates closed paths as a result. What you seem to be looking for is Path > Cut Path. After that operation, remove the parts you don't need (it's only cut, but all pieces are still there). 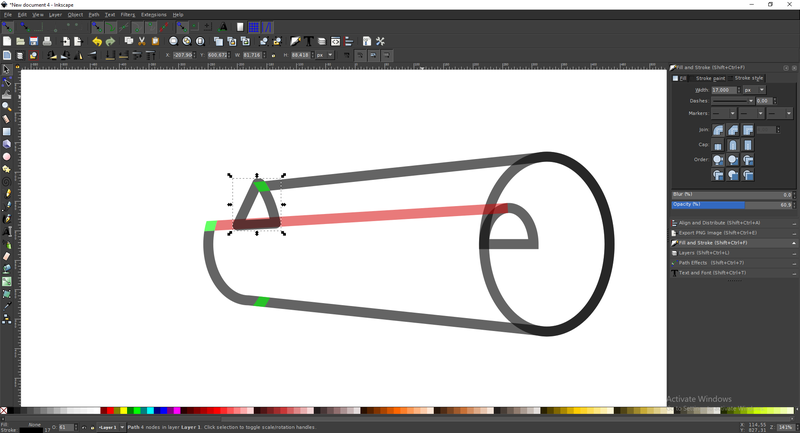 If you don't like how it turns out (because the path's ends will still behave like normal stroked path ends, and the direction of their end caps will maybe not be what you want), consider converting the ellipse to a filled path with Path > Stroke to Path, then doing your intersection with a filled object. Not the answer you're looking for? Browse other questions tagged vector inkscape stroke or ask your own question.